In this webinar Sharon Shea, Stacey McGregor and Natasha Kemp demonstrate the Results Based Accountability (RBA™) methodology. RBA™ is a practical tool, popular with Government, that can be used to help to demonstrate how your vision, mission and strategic priorities are linked to people’s wellbeing. It helps your organisation to demonstrate results. 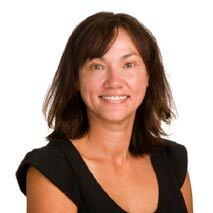 Sharon Shea (Ngāti Ranginui, Ngāti Hine, Ngāta Haua, Ngāti Hako) is widely recognised as a leader in the field of health sector strategy, outcomes framework development –applying Friedman’s Results Based Accountability™ Framework2- project management, change management and systems design. Sharon helps organisations to improve organisational performance, she provides governance training, and is particularly interested in Māori Development and in reducing health, social, education and economic inequalities across all populations. In the 60-minute ‘Introduction to RBA™ Community Research webinar (October 2016), Sharon Shea introduces the RBA™ methodology and explains how it can be used to show the impact of your work. She discusses key RBA™ concepts (2-3-7), the benefits of the RBA™ process, the seven step thinking process of RBA™ and some baseline tools that will start you off on your RBA™ journey. In ‘Webinar No.3 RBA – Making Sense of your Data.‘ (August 2017), Sharon Shea introduces great data collection, how to make sense of your data, and how to use your data to help with the process of influencing change.